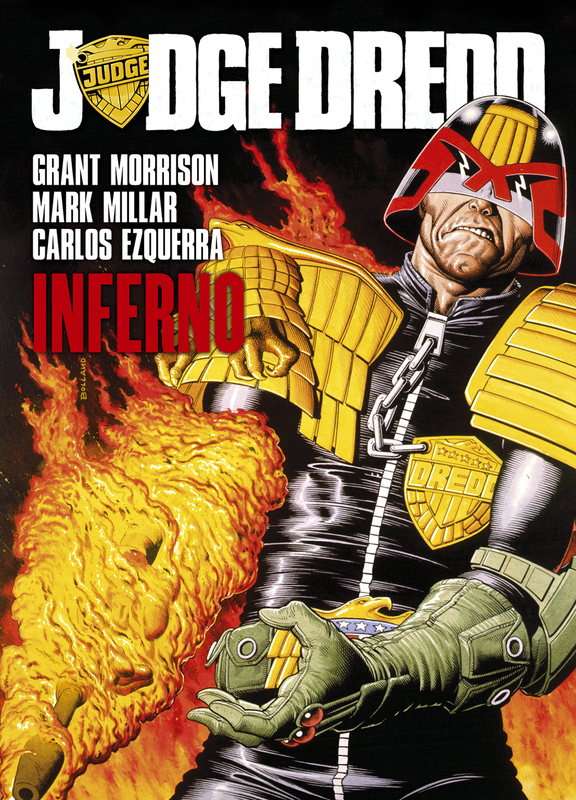 An ex-Judge is out for revenge on Judge Dredd. Comics' legends Grant Morrison and Mark Millar and powerhouse artist Carlos Ezquerra deliver a thrilling tale of vengeance in Mega-City One. Ex-Judge Grice was sent to the penal colony on Titan for attempting to stop democratic reform in Mega-City One. Driven to insanity and aching for revenge on Judge Dredd who he blames for his downfall, Grice and an army of renegade prisoners have taken control and are preparing to unleash hell on the ‘Big Meg’ with the help of a deadly virus!